We’re Susie and Otto Collins and since 1999 we been sharing a simple message of hope and love with people all over the world. 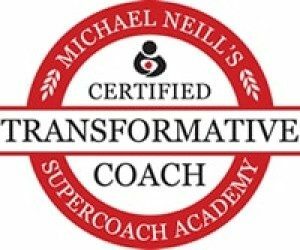 The two of us are Certified Transformative Coaches who teach a 4-step Focus on Love framework for moving past stress, challenges, conflict and misunderstandings and into a life with love and possibilities. 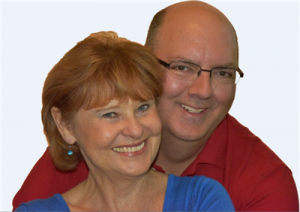 Over the years we’ve created “Magic Relationship Words,” “No More Jealousy,” “Relationship Trust Turnaround,” “Communication Magic” and many other books and programs that help people have stress-free relationships that are filled with love. Although we've been featured on many national and international media outlets like, Men’s Fitness magazine, Huffington Post, BBC and Yahoo shine--their real passion is connecting with people like you and doing whatever we can to help you create more love in your live and more life in your love. Love doesn't have to be a struggle. Relationships don’t have to be filled with stress, conflict and misunderstandings. And no matter what your relationships have been like up until now--you can have all the love you could ever want if you’re open to seeing some new possibilities. "My greatest desire in life has always been to love and to be loved deeply and completely. I was married to my first wife for 15 years. It was good and then it wasn't. When I was 25 years old, I started on what I came to call my path of personal and spiritual growth and I've never looked back. "Whatever path, track or modality of spiritual, life or success seeking you can name-- I've studied it, tried it and in many cases gone really deep with it all under the guise of fixing whatever I thought was broken within me and keeping me from having the love, the money and the life that I wanted. "When my son was eight years old, just two days after having returned from a week-long spiritual retreat at the beach I announced to my wife at the time (and a few days later) my son that I was leaving the marriage. I was acting on blind faith that the love and the life I had been wanting would somehow find me. I wasn't wrong. A few months later, one evening in 1997, I had what I now call a 'soulmate experience' with my now wife and partner of over 20 years, Susie. "It was one of those moments that you never forget and it was the beginning of both my greatest gift from our creator and my greatest challenge--which was learning how to open my heart to love and keep it open with the one that I love no matter what my (and our) outer circumstances. This hasn't always been easy but I've stuck with it and learned so much along the way about how to be in a close, connected and loving relationship that can stand the test of time. "In 1999 Susie and I started giving talks, and sharing what was working with us in our love relationship and that turned into a full-time labor of love with us writing, teaching and coaching people all over the world about how to have all the love you could ever want. "Of all of the things I could say I've struggled with in my life, none has been more painful and problematic for me than money, finances, health and weight. I've had plenty of money and I've been bankrupt. I've gained and lost more weight than I care to remember. In 2016 Susie and I stumbled across a new understanding of how our mind works to create our entire human experience we call life (which is the complete opposite of how I used to see things) and those things in my life I used to call struggles seem to have faded away. "When I'm not spending time with Susie, family and friends, listening to the music of Bruce Springsteen and the E Street band, planning a trip to the beach or watching the Cincinnati Reds play baseball--I spend most of my time sharing this new understanding with others about how to have less on your mind so you can have less stress, more love and more inner peace so you can create more of the life (and love) you really want." "I am the daughter of typical Midwest, middle class family who loved and protected me. My father was a manager for Pepsi Cola and my mother was a 1950's stay-at-home mom and they taught me many things but one of the most important was that family comes first. "When I was 29 years old after "having to get married" and the birth of my beautiful daughter, I became depressed and wanted a way out and to feel happier and alive again. But I wasn't sure how until I stumbled across Norman Vincent Peale's classic book The Power of Positive Thinking and something in me shifted. "Since then, because I wanted to keep learning and growing, I've been an student of relationships, spirituality, energy and the life force behind all creation. My search for physical, emotional and spiritual healing has led me to the study of Polarity Therapy, cranio-sacral therapy, Hatha Yoga, tai chi, the Enneagram, the Three Principles as taught by Sydney Banks and so much more. 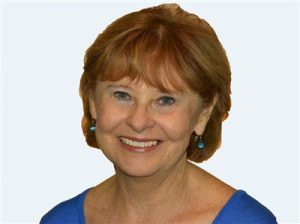 "Before I started teaching people about relationships and personal growth, I was a university librarian with over 30 years experience teaching in the public schools and university classes. "But my life as I knew it came to a halt in 1997 when my husband of 30 years and I mutually decided to get divorced. After he left our home, I remember so vividly being worried about where HE was living, what he was eating and how he was getting along. Even though we had both come to the decision to separate, there was still a lot of sadness and uncertainty. "During this time, I completely neglected to consider myself and my future until one moment I was standing in the middle of my living room and it was like someone was yelling inside me--"What do you want?" "In that moment I had a life-changing insight that I deserved and could have the relationship and life I wanted. 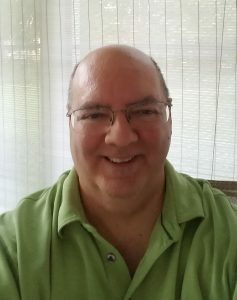 "It was not too many months after that I connected with Otto and we had our soul mate experience that Otto described in his "Meet Otto" story above. "As of this writing, I've been doing what I love to do--experimenting with ways to be more loving with myself and in my relationships, especially in my relationship with my beloved partner Otto--and then writing and teaching what I've learned. "The most significant shift has come within the last few years with the study of something called the Three Principles as discovered by Sydney Banks. It has brought me to a new level of understanding where stress comes from and that it's not necessary to have it in my life. "I've realized a peace in my relationships and life that I didn't think is possible and know that you can too."